Please take a few minutes to familiarize yourself with the required travel documents. The requirements described below are according to government regulations and policies, and are subject to change without notice. •	It is strongly recommended that all guests travel with a passport that is valid for at least 6 months beyond the end of the cruise. •	It is the sole responsibility of the guest to identify and obtain all required travel documents for the entire cruise vacation, and to have them available whenever necessary. These appropriate, valid travel documents - passports, visas, family legal documents, and inoculation certificates - are required for boarding and re-entry into the United States and other countries. •	Guests who do not possess the proper documentation may be prevented from boarding their flight or ship or from entering a country, and may be subject to fines. In addition, no refunds will be given to individuals who fail to bring proper documentation. Visas: It’s the responsibility of the guest to identify, obtain and present necessary visas before the start of their cruise vacation. Requirements vary based on the guest's nationality and the countries being visited during the cruise. If you do not hold proper visa documents, you will be denied boarding without compensation. Important visa-related note: The most recent visa requirements for non-United States guests sailing on an Alaskan itinerary require a Canadian visa to get onboard the cruise. If you use the online check-in option, this will save your time later, as you won’t have to fill out various elaborate forms during check-in. On Royal Caribbean, once you have completed the online check-in successfully, you will get a Set Sail Pass that will expedite your check-in at the pier. 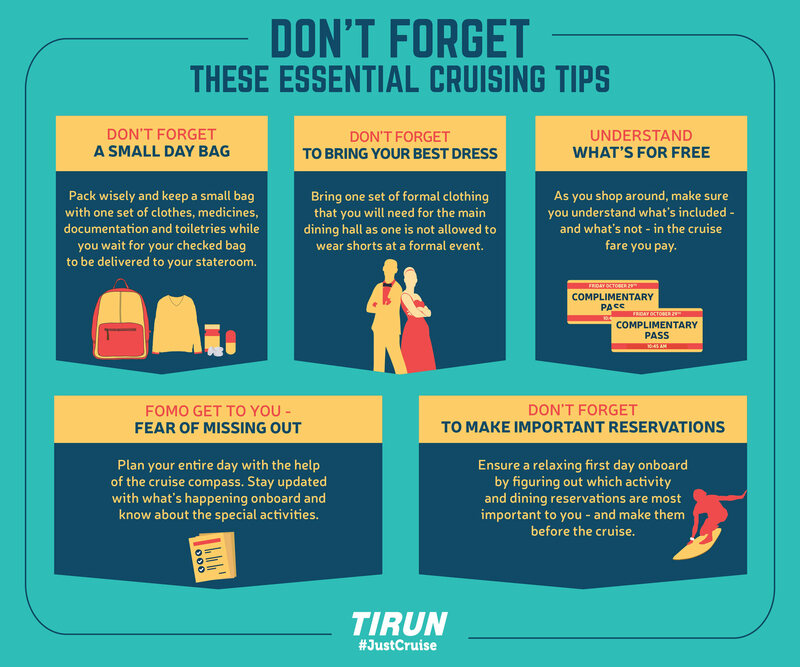 Please note that online check-ins must be completed at least 3 days prior to your sail date.